A rich and prestigious heritage defines Aston Martin as something truly unique within automotive history. 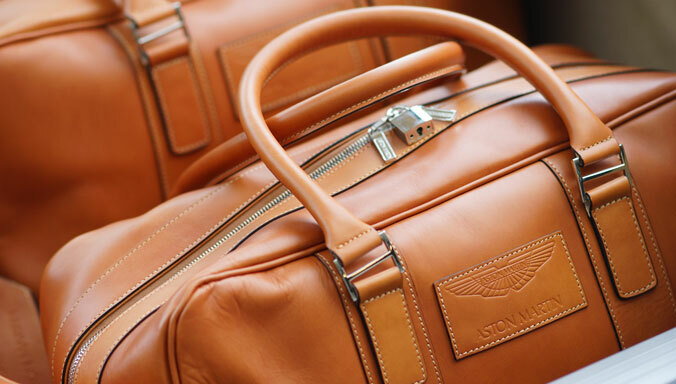 Founded in 1913 by Robert Bamford and Lionel Martin as 'Bamford & Martin Ltd', the company has developed into an iconic brand synonymous with high performance and elegance. 1914 saw the birth of the name ‘Aston Martin’ following Martin's successful run at the Aston Hill Climb in Buckinghamshire, England. Within a year the first Aston Martin had been built and registered with the name and by 1920 the business had relocated to Kensington. Competing in the 1922 French Grand Prix saw Aston Martin take its first historic steps in overseas competition with two cars completing the race. Financial problems plagued the company over the next decade with the business forced to close in 1925 only to be rescued by a group of investors in 1926, forming 'Aston Martin Motors Ltd'. The business was soon on a sound footing, with a competitive range of sports cars and an increasing reputation for engineering and design. This progress lead to the first entry of an Aston Martin in the Le Mans 24-hr Race in 1928. Aston Martin won great acclaim at Le Mans, when the 1.5l model took a clean sweep of the podium places within its class at the 1933 race. Road car production numbers continued to increase throughout the 1930s with 140 cars being built in 1937, the highest pre-war figure. 1939 saw the production of the Aston Martin Atom, an avant-garde prototype developed using an early form of space-frame chassis and independent suspension - a further development of Aston Martin's engineering excellence. 1947 saw the dawn of the 'David Brown Era' as the business was acquired by the English industrialist. With verve and energy the business expanded, with the next few years seeing the purchase of the Lagonda marque and the relocation of production to Hanworth Park, Feltham, Middlesex. The DB2 model entered production in the same year, quickly followed by 2nd & 3rd in class success at Le Mans in 1951. Production was moved to Newport Pagnell in 1955 and the site became the home to the DB2/4, a car launched the year before. 1956, 1957 and 1958 saw further milestones for the company with the DBR1 race cars, DB Mk III and the DB4 all being introduced. Aston Martin ended the 1950s with further racing success, as the DBR1 team secured the 1959 World Sportscar Championship by winning races such as the Nürburgring 1000km race and the famous Le Mans 24hr. Away from the circuit, the DB4GT, a high-performance version of the DB4, was launched to acclaim. 1960 saw a further DB4 evolution and the founding of an historic collaboration with the Italian coachbuilder Zagato to launch the DB4GT Zagato. A seminal year for the business saw success for the DB4GT at Monza and the launch of a new model, the year was 1963 and the model was the Aston Martin DB5. Frequently acclaimed as the most beautiful car in the world, the Aston Martin DB5 entered production in 1963. The following year saw the birth of a relationship that has left an indelible mark on popular culture, as the DB5 was chosen to be James Bond’s car of choice in the classic film ‘Goldfinger’. Following up on the success of the DB5, the DB6 and DB6 Volante were launched in 1965 and 1966 respectively. Energetic product development continued in the rest of the decade with the Aston Martin DBS, DB6 Mk2 and DBS V8 all being introduced. Despite the development of an iconic product range, the 1970’s saw a change in ownership for Aston Martin as 'Company Developments Ltd' took over the firm in 1972. In the same year the Aston Martin V8 entered production. In 1975, just three years after its last take-over, the company entered receivership and was rescued by a consortium lead by Peter Sprague, George Minden and later Alan Curtis. The first car to be unveiled under this new ownership was the revolutionary ‘Lagonda’ as the iconic sister marque of Aston Martin was re-launched. The 1980s saw Aston Martin change ownership again, with Victor Gauntlett and Pace Petroleum buying the business in 1981. 1983 saw further investment for the firm as Victor Gauntlett partnered with the Livanos shipping family. 1986 saw the V8 Vantage Zagato produced as the collaboration was revived. 1987 saw a further ownership development with the Ford Motor Company acquiring a 75% stake. In the same year the 007 relationship continued with the V8 Volante appearing in ‘The Living Daylights’. 1988 saw the introduction of the Virage at the NEC International Motor Show, ensuring the company moved into the 1990's with a new sportscar at the heart of its revised model range. 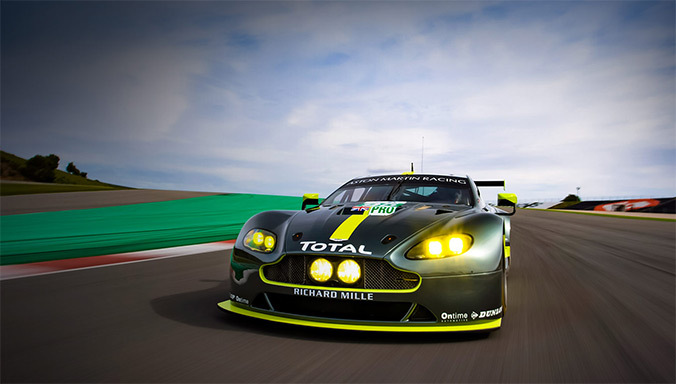 Aston Martin also returned to the track as the works supported 'AMR1' came sixth in the World Sportscar Championship. In 1991 Walter Hayes was appointed Chairman and work began on a new model. The iconic 'DB' moniker was resurrected in 1993 with the introduction of the DB7 at a new production facility at Wykham Mill, Bloxham. The same year saw Ford Motor Company increase their holding to take full control of the business. 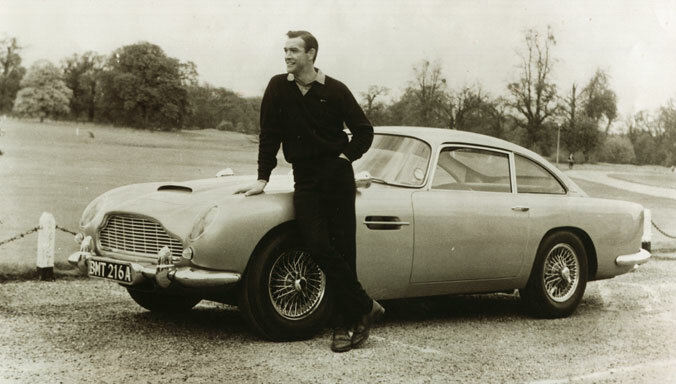 The 1990s also saw Aston Martin feature in two separate James Bond films as the DB5 rolled back the years with a performance in ‘Goldeneye’ and ‘Tomorrow Never Dies’. In 1998 the company was presented with the Queen’s Award for Export, recognising the contribution of the firm to the UK economy. Aston Martin began the new millennium with a new Chairman and Chief Executive as Dr. Ulrich Bez was appointed. In the same year production of the 5.3litre V8 engine designed by Tadek Marek and utilised for over 30 years came to an end. 2001 saw two landmarks for the business with the 5,000th Aston Martin DB7 being produced and the launch of the V12 Vanquish, a car that lead a new era of technology and appeared with Pierce Brosnan in ‘Die Another Day’. 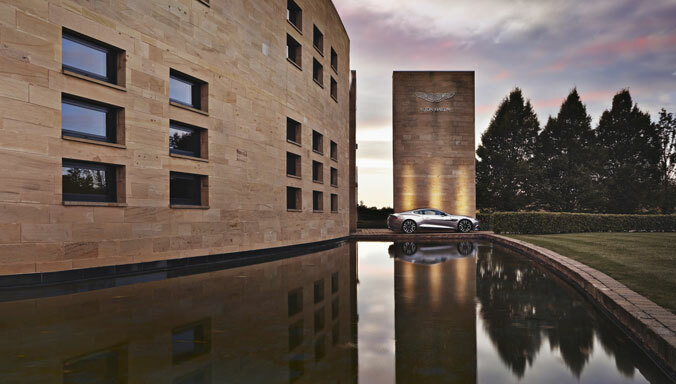 Aston Martin's new global headquarters in Gaydon, Warwickshire opened in 2003 - the first purpose built facility in the company's history. With fresh impetus the same year saw the unveiling of the AMV8 Vantage concept car at the Detroit Motor Show, a model which has developed into the iconic Vantage range. 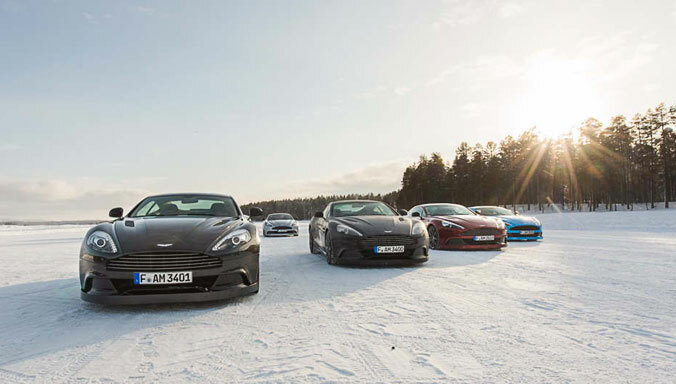 The following year saw the all new DB9 and the V12 Vanquish S enter production. 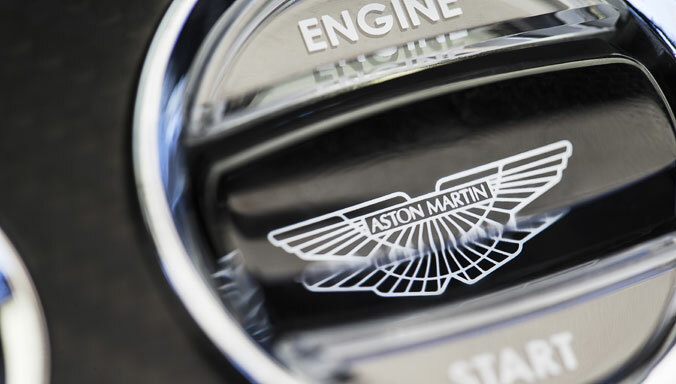 Alongside these product developments came further expansion as 2004 also saw the Aston Martin Engine plant in Cologne begin production of all V8 and V12 engines. 2005 saw a landmark step as Aston Martin returned to the race-track with the launch of the DBR9, a race car based on the DB9 road car. In the same year the DB9 Volante and V8 Vantage were confirmed for production, and the following year saw Aston Martin reach the milestone of 30,000 production cars. The introduction of the current flagship, the Aston Martin DBS took place in 2006, as it was seen for the first time in Daniel Craig’s James Bond debut ‘Casino Royale’. This launch was quickly followed with the unveiling of the V8 Vantage Roadster at the LA Motor Show. 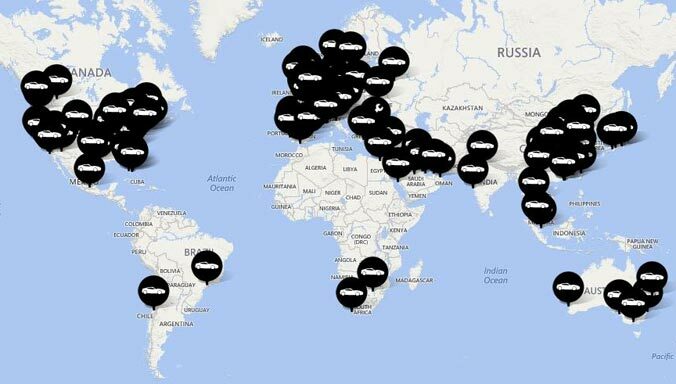 A new chapter in the company's illustrious history was written in March 2007, as Aston Martin was sold to a consortium of two major international investment houses, Investment Dar and Adeem Investment. The consortium was led by Chairman David Richards and Dr Ulrich Bez continued to lead the management team into this new era of independent ownership as Chief Executive. The production ready DBS was launched at the Pebble Beach Concours d'Elegance and 2007 ended with further expansion as a new Design Studio was opened at Gaydon. 2008 saw the DBR9 take GT1 Class victory at the Le Mans 24-hr race for the second consecutive year. The same year saw the marque's love affair with James Bond continue as DBS made a second James Bond appearance by featuring in 'Quantum of Solace'. 2009 marked one of the most active years for product development in the company's recent history. As both the V12 Vantage and the DBS Volante were launched, with the V12 Vantage competing at the gruelling Nürburgring 24-hour race. Further developments included the unveiling of the Rapide at the Frankfurt Motor Show and an announcement of the intention to revive the Lagonda brand. On top of these dramatic engineering and product developments 2009 also saw Aston Martin unveil the ultimate Aston Martin, the One-77, the most powerful naturally aspirated car in the world. Launched to acclaim, on its debut the One-77 won the design award in the Concepts and Prototypes Class at the Concorso d’Eleganza, Villa d’Este, Italy. The launch of the Aston Martin Virage and V8 Vantage S in March 2011 ensured the company continued to expand and develop. Just two months later a historic partnership was rekindled with the unveiling of V12 Zagato at the Concorso d'Eleganza, Villa d’Este, Italy. Overwhelming customer response saw the car confirmed for production with customer deliveries beginning in 2012. 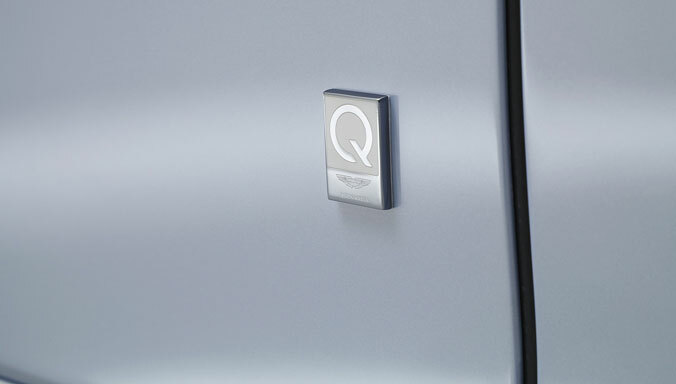 June 2012 saw the unveiling of the New Vanquish, an iconic name, fitting for a new flagship. This Ultimate Grand Tourer combines world-leading design, industry leading technology and advanced engineering to create a car that is quite simply the best Aston Martin in history. 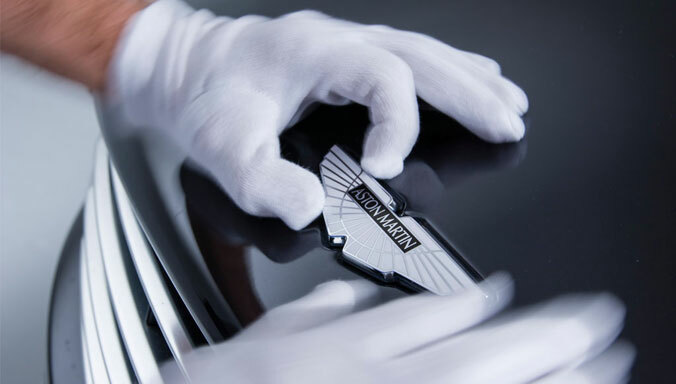 2013 saw Aston Martin celebrate its Centenary and 100 years of creating the most beautiful cars in the world. 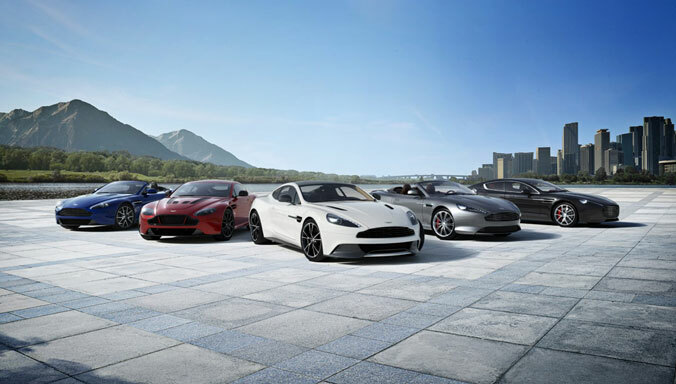 A global set of celebratory events was planned to celebrate with the owners, supporters and partners of Aston Martin, including a special Centenary week in July 2013 where the largest gathering of Aston Martins in history took place in central London. An audacious Centenary event took Aston Martin to the Middle East, and one of the most recognisable luxury destinations, the Burj Al Arab hotel in Dubai. January 2013 saw the airlift of Vanquish onto the helipad at the iconic hotel, in front of some of the region’s most important dignitaries. This was the first time a car has ever been placed onto the helipad, which sits 1,000ft above the ground at the top of the sail-shaped building. A unique year produced a unique and visionary car. 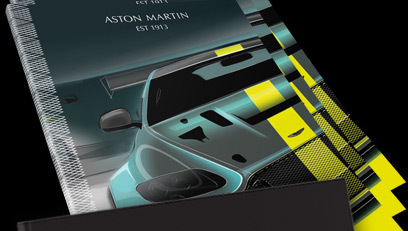 Created as a stunning celebration of Aston Martin’s century of sports car excellence we revealed ‘CC100’, a concept reflecting the sporting heritage and exceptional design capability woven throughout 100 years of Aston Martin history. Revealed to the world at the 24 Hours of Nürburgring race, CC100 was piloted on its debut by Aston Martin CEO Dr Ulrich Bez. Alongside him on this unique celebratory lap of the iconic Nordschleife was DBR1, the same car that completed the 1000km of Nürburgring in 1959, driven by the same man - Sir Stirling Moss. Taking just 3.7 seconds to sprint from 0-60 mph, the V12 Vantage S underlined its position as not only the brand’s fastest accelerating production car, but also the most potent Vantage in Aston Martin’s glittering 100-year history. The undoubted highlight of our centenary celebrations brought tens of thousands of eager owners and enthusiasts to Kensington Gardens, to witness the largest gathering of iconic British sports cars in history. As many as 550 Aston Martin models were displayed in the Park, meaning the event also represented the largest single gathering of Aston Martins ever assembled. Created using many of the same techniques as applied in the development of Aston Martin production sports cars, DP-100 provides an exceptional level of detail, with many of the design cues potentially feeding through into future Aston Martins. With an unrivalled history and heritage, Aston Martin strides forward into a second century with new investment and the strongest model line-up ever created. Aston Martin enters an exciting period of technology and production development with the arrival of Dr. Andy Palmer as new Chief Executive. Dr Palmer, a British-born chartered engineer, chartered manager and businessman with 35 years of automotive industry experience and success leads the company in creating the next generation of Aston Martin products for the future. With an unrivalled history and heritage, Aston Martin strides forward into a second century with new investment, a new leader, and the strongest model line-up ever created.